Java is one of the principle courses taught by the Oracle group. Several applications on mobile devices are made with the help of Java codes. It is one of the most basic programming languages that must be known by any software programmer. One can enrol with a variety of institutes to undergo a Java training course. Java training can be conducted at different levels, depending on the expertise level of the aspirant. The course to start learning Java is Core Java. In this, experienced instructors teach different object-oriented concepts of the language, which are helpful in creating programs. Participants get to dive into class designing and many advanced class features like final class, abstract classes, static methods and interface. The Java developer course is such that one can add knowledge to it forever and still keep growing on the career front. Beyond the concepts taught in the basic Core Java course, there are many advanced features to be learnt in the future. Several companies are constantly changing their technologies from VB and .NET to Java. As mentioned above, Java has a number of object-oriented concepts within itself. It is independent of any platforms. Java is also considered to be secure, simple, portable, architecture-neutral, robust and dynamic. All these characteristics make it a language desired for several useful applications. Who must make use of Java? The Java training course is invaluable for a number of professionals. All developers should have knowledge of this language. Existing Java developers and Java EE developers can make use of this training course. Candidates having a basic understanding of object-oriented principles can make maximum use of this course. It is also helpful if they can create and edit text files by using a text editor. Java ME teaches aspirants to develop applications that can run on mobile devices. In this training, students get to know about the differences in development of standard Java apps in comparison to micro Java apps. Architecture Enterprise apps can be learnt with the help of Java EE training. For a candidate to move high in the developer world, Java certification is absolutely essential. It shows that the aspirant has a very wide base of knowledge, since Java has numerous applications. Know more by enrolling for Oracle training courses. 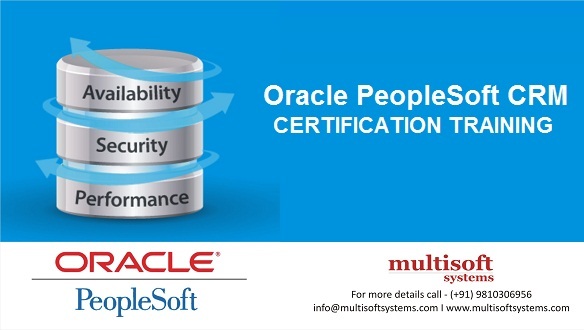 How does Oracle’s PeopleSoft HRMS optimizes and organizes human capital in an organization?